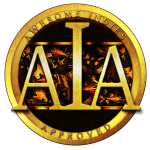 ‘Outstanding and hilarious! 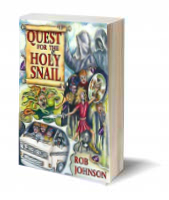 You will not regret reading this book…unless you’re allergic to laughter I suppose. An oddly believable tale of the frankly unbelievable. With MI5 and local police and gangsters and a beautiful girl or two, Rob takes us on a trip that is more fun than taking an actual trip. And cheaper. No worries, everything turns out fine in the end. Except for the folks who die. 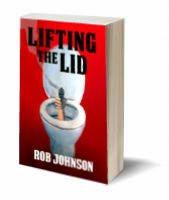 Click here for details and where to buy Lifting the Lid. 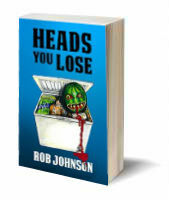 Click here for details of Heads You Lose (Book 2 in the Lifting the Lid series). You might be pleased to know that I’m well on the way to writing my next novel, although this is very different from the other two. Once this one’s finished, though, I’ll be getting on with the third book in the ‘Lifting the Lid’ series.